Different models of market entry can be more suitable for certain countries. While appointing an agent or distributor is frequently the first step, in this chapter we have selected some key markets and looked at the usual or most appropriate options for developing business. Here we look at export to China. Most companies that start looking at China as an import or export market make direct visits, and soon realise that it takes time and many repeat trips to build up trust with their potential customers, suppliers or partners. Chinese intermediaries are frequently involved which means you are not dealing with the end customer or supplier. 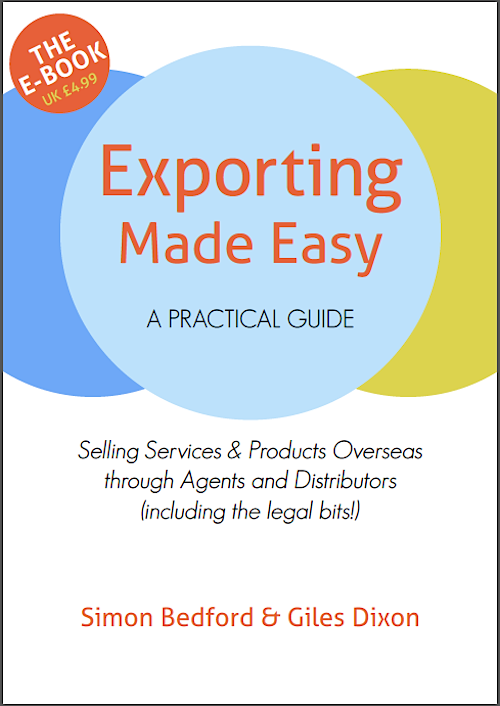 The common export route is to use one or more agents or distributors (also sourcing agents) which can help to “open doors” if they prove to be as well connected as they purport to be. China is a vast country and one agent or distributor is unlikely to have the connections or infrastructure to service more than his own region. However, to assess a huge and growing domestic demand, UK companies can consider establishing some type of local presence. This may be setting up an informal operation with a Chinese contact address. China Britain Business Council (CBBC) offer their Launchpad scheme, whereby you can have a “hotdesk” facility and they will employ a local manager or salesperson on your behalf. UK companies can establish their own representative office but as the name suggests this office cannot engage in business activities and is restricted to liaison, marketing and exchange of technology. Joint Ventures used to be the only way to enter the market and so from the time they were introduced in 1979 an Equity Joint Venture (EJV) was popular but not necessarily successful. Early Chinese JV partners were often existing or ex-state trading organisations which were inefficient and bureaucratic and there are many horror stories of foreign investors losing their capital and IPR (Intellectual Property Rights), and eventually cutting their losses. In the mid 1990’s WFOEs (Wholly Foreign Owned Enterprises) were permitted, allowing 100% foreign ownership, without a local Chinese partner. WFOEs quickly took over as the preferred form of Foreign Direct Investment (FDI) giving independence, control and more protection of the foreign company’s IPR. A key point about WFOEs is that initially they were only permitted for export oriented or import substitution activities. Later it was made much easier for WFOEs to sell to the domestic market. Finally, in 2004 the Foreign-Invested Commercial Enterprise (FICE) was introduced. This allows the foreign investor to set up a trading operation doing wholesale, retail or franchising.